Is your child or grandchild off to college for the first time? If they are returning to school and into an off campus apartment, it is important to address their technology needs. No longer is it just textbooks, clothing and bank accounts on your to-do list. With technology imbedded in both their personal and educational lives, there are a number is issues that must be addressed, hopefully before move-in time. The following are some of the more important things that should be included on your to-do list. – Most colleges have removed phones from dorm rooms. Your student probably already has a cell phone. However, you must make sure the provider you are using (Verizon, AT&T, Sprint, etc.) has a strong signal at school. Call the school and, if possible, talk to some other students about their experience. – Check your cell telephone plan. If your student is not going to be in your local area, make sure you have a nationwide plan. In addition, check your usage. More than likely, your usage will increase since you will be speaking with your child more than you think. – Check your text messaging plan. Most students rely heavily on text messaging which is a simple way of communicating. – Find out what type of Internet plan the school provides. Does the dorm offer wi-fi connectivity? How about the rest of the campus? – Most students bring a laptop to school with them. MACs are more popular than Windows based computers. If you need to buy one, most schools have discount plans with different manufacturers. Apple has a student discount plan. Schools offer substantial discounts on most software. – Are you a Skype user? Being able to video chat makes both students and family members still feel connected. If you and your student both have MACs, you can use iChat. Skype and iChat are similar. However iChat only works if you both have a MAC. Both services are free from any part of the world, as long as you are both on a computer. – For those students living in off campus apartments, make sure they contact the local cable company to install a modem/router along with their TV service. No need to spend money on installing a land line. A cell phone is sufficient. Finally, don’t forget the cables. Although the school might have wi-fi, bring along an ethernet cable as well as extension cords. I suggest that everyone have at least two cell phone chargers; one for the room and another to carry with them, since the newer smartphones have limited battery life. As a parent that has gone through this process of number of times, do not hesitate to contact me if you have any questions regarding either your students’ or your back-to-school needs. I can be reached either by e-mail at jblue@bluetutor.com or by phone at 917 921-4518. DO YOU CARRY YOUR CELL PHONE WITH YOU? 1. You are almost always accessible. It is possible to limit your accessibility by switching the phone to a vibrate only mode, or turning it off, when at the movies or at dinner for example. 2. In case of emergency, you can reach out for help whether you are lost, have a flat tire or in need of medical assistance. 3. Running late? You can either call or send a text message. 4. Keeping in contact with your children whether it be a change of plans or out late at night. 5. If you are a senior, the ability to keep in touch with your family. If you are living alone, giving your children peace of mind. 6. Cost – Long distance calling is usually cheaper. 7. Taking a trip? – Have your home calls transferred to your cell phone. 8. 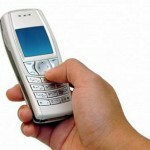 If you are dependent on e-mail, you can purchase a “smartphone” that permits you to access your messages from anywhere. 9. An easy way of having access to all your contact information. 10. An extra alarm clock. If you need assistance determining what type of cell phone is best for you or want to discuss upgrade options, do not hesitate to contact me at 917 921-4518 or by e-mail at jblue@bluetutor.com. 10 REASONS TO LOVE NETFLIX! 1. One monthly fee ($7.99) lets you watch as many movies as you want. 3. No need to leave home. 8. Can’t sleep, watch a movie. 9. You can search for a movie or TV show by category, title, or actor/actress. If you have any questions about how to set up a Netflix account, do not hesitate to contact me by phone at (917) 921-4518 or by e-mail at jblue@bluetutor.com. In addition, click HERE to join my mailing list and receive my FREE whitepaper on setting up a home office and becoming a true road warrior.